Massage is perhaps the most potent, natural, and complete form of stress release available. Your San Diego massage from SK Clinic and Medical Spa takes on a new dimension — the SK Touch! The SK Touch is the work of the finest massage professionals available, each well versed in the spectrum of massage techniques. Whatever your stress, and wherever it has settled in your body, we will release the tension and promote pure relaxation. You will feel peaceful, yet completely rejuvenated. 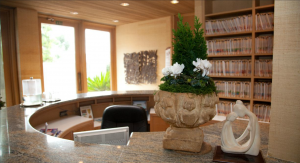 When searching for massages in San Diego, SK Clinic provides an array of options. Our massages in San Diego include variations of deep tissue, aromatherapy and many more options. For those looking to make a physical change, our slimming San Diego massages rejuvenate the body and help reduce the appearance of cellulite. From European to Athletic styles, our spa professionals listen to the needs of each patient. For a La Jolla massage, view our options below and choose which San Diego massage package will suit your needs. This is the classic. A Swedish massage that utilizes long and flowing kneading strokes to reduce tension, increase circulation and promote relaxation. The ultimate stress release! This deep tissue therapeutic massage concentrates on relieving muscular tension and spasms due to stress, work, or physical activities. Play hard? This one is for you. Using trigger point techniques, this vigorous sports massage relieves deep-level muscular tension. If you are an athletic, fitness-oriented person the pain and stresses of your activities will be washed away. One for the senses! Experience the refreshing aroma of handpicked, perfectly blended essential oils. As you relax during your massage your sense of smell is delighted while your spirit is cleansed. A healing touch for pre and post surgery. This Manual Lymphatic Drainage (MLD) massage assists in relieving toxins and swelling, while reducing edema and promoting healing. Straight from France, Endermologie smoothes your skin and improves your contour. It also reduces the appearance of cellulite.